The Staff at SPS Fire & Security helps protect homes and businesses throughout Rochester, Syracuse, Buffalo, and the surrouding areas through state-of-the-art equipment, excellent service, and superb affordability. Our extensive skill set and concern for our clients has given us the ability to understand the requirements of our clients and their concerns. Our experience with system specification and the latest technologies protects what you care about the most. Whether it's securing your home or business, SPS Fire & Security has the experience and state-of-the-art equipment to give you the protection and peace of mind that you need. With decades of experience, SPS can provide you with customized solutions that meet your residential and commercial security needs. If You're looking for complete residential and commercial security solutions, SPS can do it all. When you hire us to be your security company, you receive the personalized attention that you deserve. You are serviced by a local team and your rate is locked in for the life of your agreement. We take the level of service that we offer very seriously because it is what makes our business function. It is our belief that you should receive one-on-one attention when you need it. There's no having to deal with call center reps that aren't personally invested in the safety of your home, family, business, and/or employees. With SPS Fire & Security in your corner, you will have a local team there for you and 24/7 monitoring to ensure your interests are safe. Every home and every business is unique, which is why we are able to customize our systems to meet your needs. Using state-of-the-art technology and equipment, SPS Fire & Security puts years of system design experience and system knowledge to work for you. To ensure the right fit, we listen to your needs and present you with solutions that will meet those needs. That means you never get more than you need, nor do you have to settle for less. It shouldn't cost a fortune for you to protect your home or business. You also shouldn't have to worry about increasing monitoring fees, repair costs, or service costs. At SPS Fire & Security, we provide you with worry-free service plans, affordability, and a guaranteed locked rate so you can have the peace of mind you deserve at the right price. It is our belief that no one should have to pay unreasonable fees to protect what they love. Security is more than just a job to us, it's our passion. That is why we are up-to-date on the latest trends and technologies and why we are so committed to our customers. Schedule your free, no-obligation consultation. We will work with you to determine which solutions will fit your situation. We want to know about your home security or business security needs and show you how we can make your environment safer. From video surveillance and home automation to access control, we have a wide range of solutions you can use to protect your home or business against theft, fire, CO, and more. We educate you on these solutions so you can make an informed decision about your security needs. 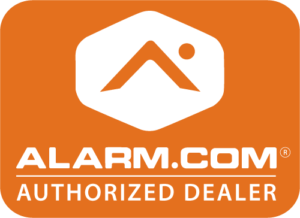 We specialize in residential security alarms and equipment, business security alarms and equipment, access control systems, video surveillance, and more.